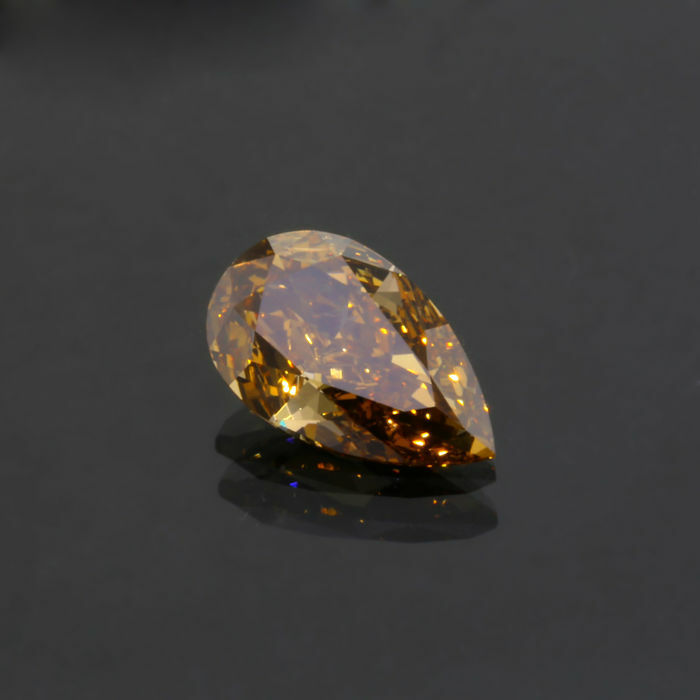 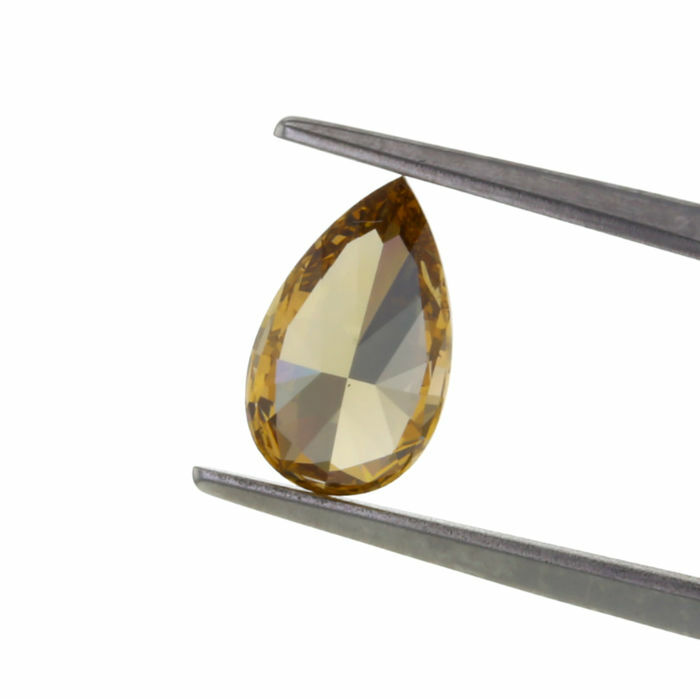 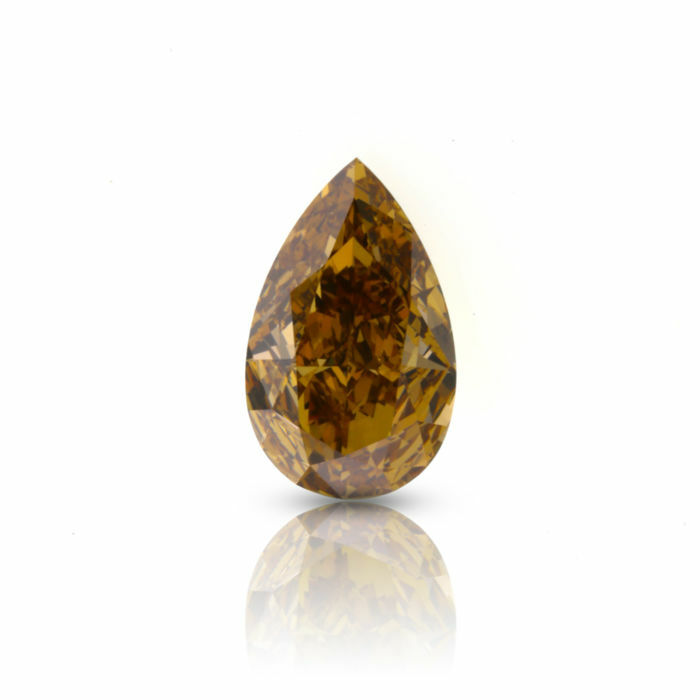 Pear shape Diamond 1.52 ct. Natural Fancy Intense Yellowish Brown. 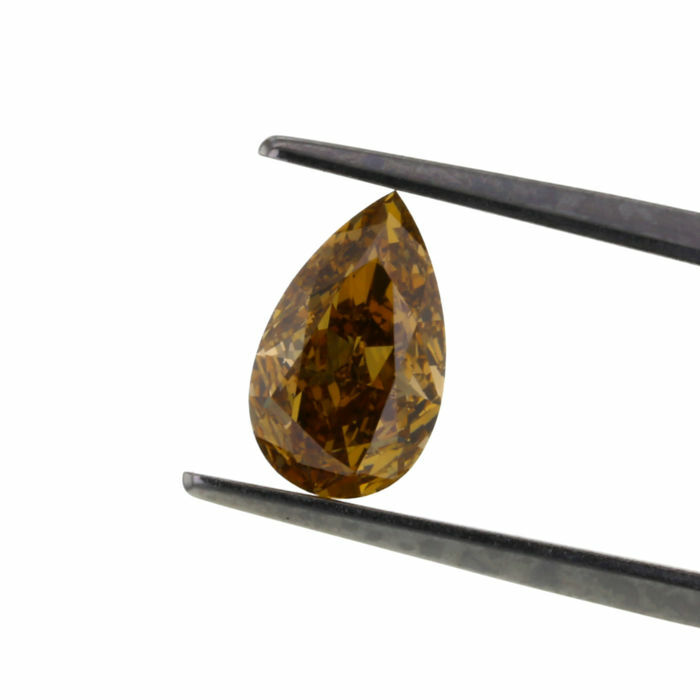 1.52 ct. Natural Fancy Intense Yellowish Brown Pear shape Diamond, with Very Good Cut, Good Symmetry and Very Good polished, It's special kind of Deep Color Orange Diamond, best suitable for the pendant and ring centrepiece in Classic and retro style jewelry. 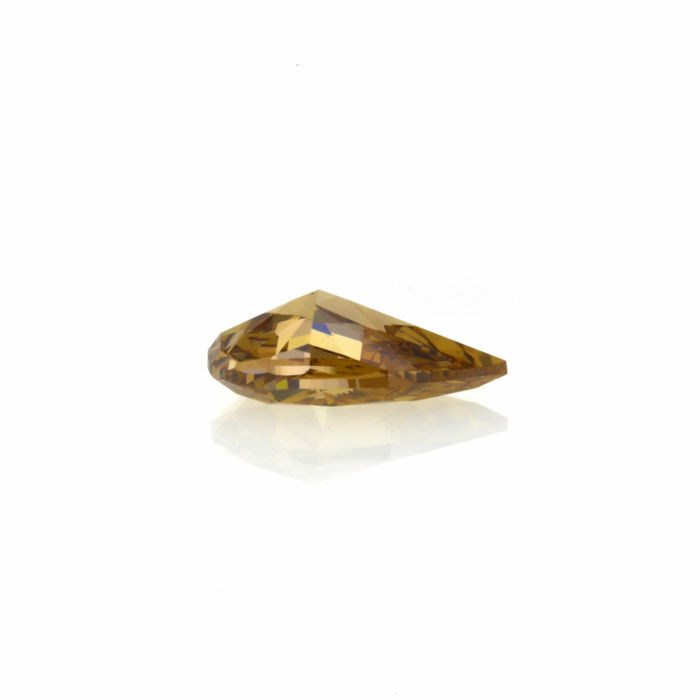 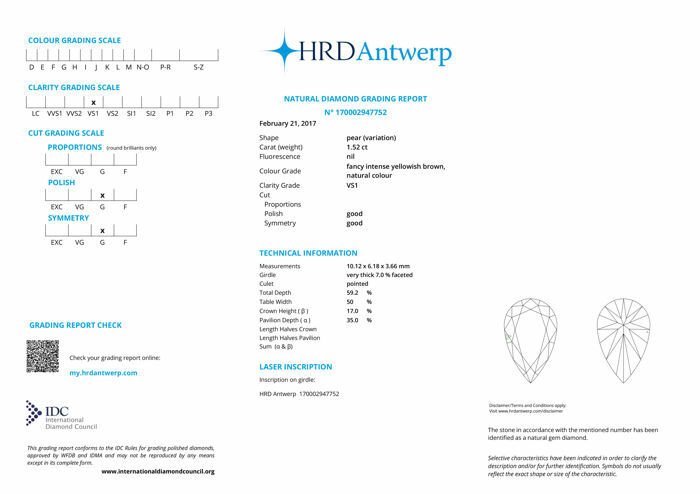 It is crafted and polished from the Brazilian rough the best source of naturally coloured diamonds.